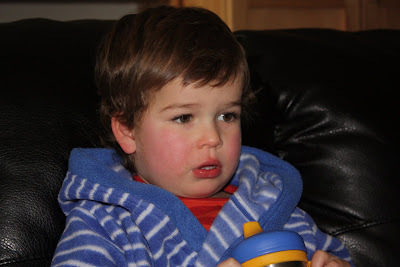 We've had a sick little Levi around our house for the past week. The boys both got a bad cold and weren't feeling too great. 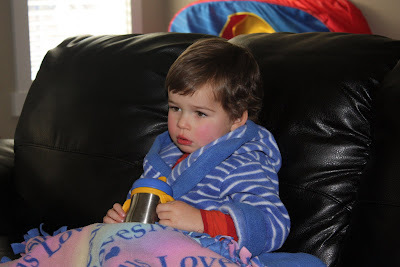 Levi spent most of the weekend in his pajama's, housecoat and a blanket. I felt so bad for him, but he looked so cute sitting on the couch all cuddled up, I had to take a few pictures.